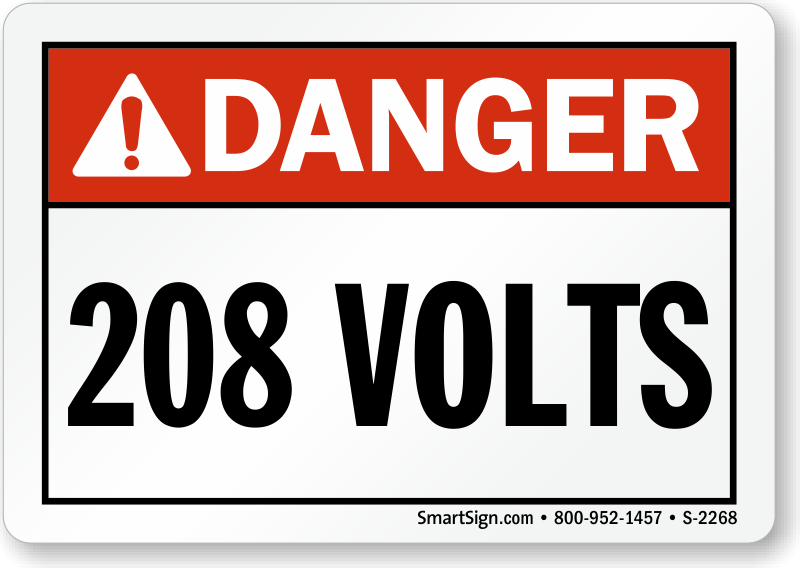 Our High Voltage Signs – 208 Volts will inform users about the voltage required to operate electrical equipment. Use our voltage markers to identify cable lines and prevent accidents. 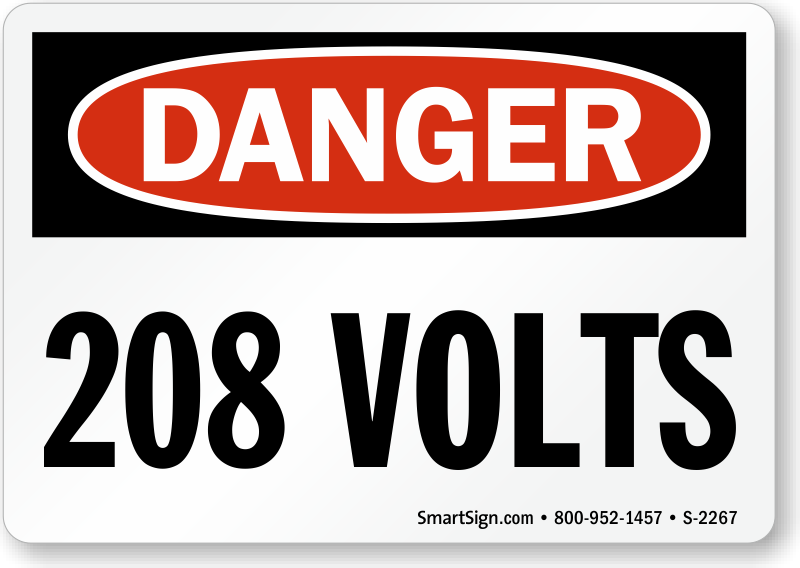 These markers will safeguard your electrical equipment from damage. Voltage markers are an easy to use and convenient way of identifying bus ways, fuse boxes, power outlets, switches, and conduits. 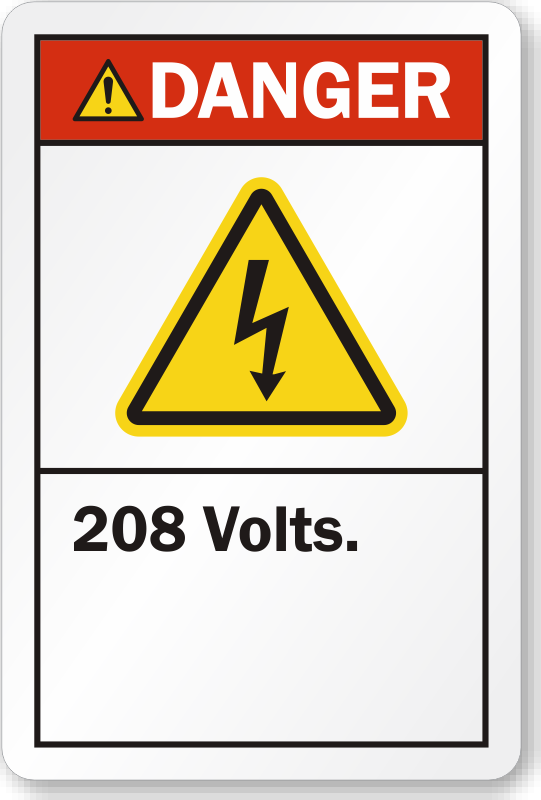 Worker safety is ensured when you use these voltage markers. • Distinctive orange markers are highly visible. • Printed on 4 mil thick vinyl with heavy permanent adhesive backing. 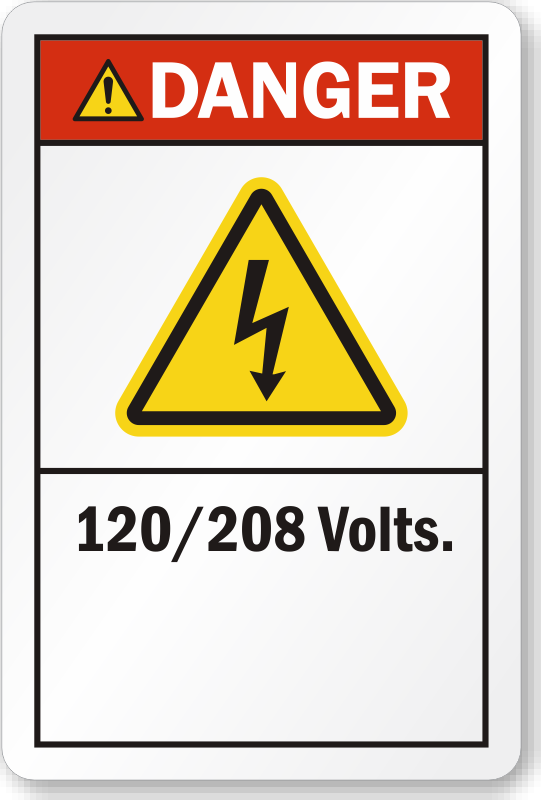 • Snap-on voltage markers are made of pre-coiled semi rigid vinyl. • Choose from signs with signal words like “Danger” for maximum impact.